Our dentists started up in private practice in 2004, and we have been on an epic ride ever since. We are husband and wife dentists who owe a huge thanks to our Fort Lauderdale and Broward county community in particular to the city of Plantation for allowing us in helping them with our sedation, dental implants and advanced laser dental services. 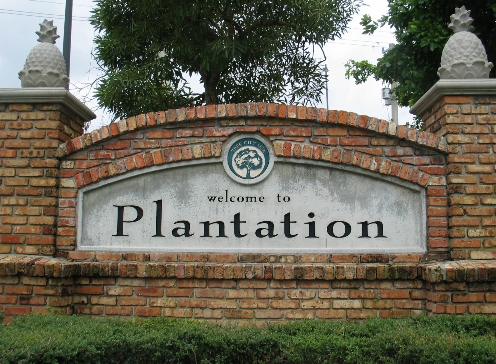 We hope the residents of Plantation would continue to be a part of our story for many more years to come. When we met our patients in real life, we try to unearth their dental and life story, and to tell our own as sedation clinicians. The end goal is find out if we can help them. In this process of knowing each other tap into the underlying reason patients develop dental issues and why they have decided to come to see us– to get to be the very best version of themselves; a version they have always had within them that got lost along the way. 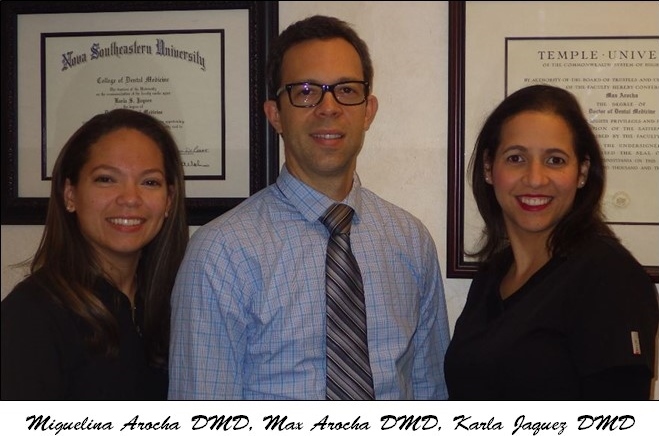 Dr. Max Arocha is a Florida board certified dentist who earned a doctorate in Dental Medicine in 2003 from Temple University’s School of Dentistry in Pennsylvania. After completing his post-doctoral general practice residency, where he gained advanced training in Dental Implants and Oral Surgery, at Lehigh Valley Hospital, Dr. Arocha proceeded to earn his certification for Intravenous (IV) conscious Sedation Anesthesia from Montefiore Hospital and Albert Einstein College of Medicine. Dr. Arocha acquired certificates in soft and hard tissue lasers and a Laser Fellowship certificate from the World Clinical Laser Institute. He has spoken and made television appearances for National Medical Report about dental implants. He has pioneered several minimally invasive all-on-4 dental implant techniques using advanced hard tissue lasers with computerized 3D surgical guide protocols. He has taught at the World Clinical Laser Institute about advanced laser techniques on bone regeneration. He also is an instructor to fellow dentists, particularly in the area of ALL-ON-4 Dental Implants. Dr. Max Arocha holds hopital previleges at Memorial Regional Hospital. He is a prolific innovator and awarded of U.S. and international patents in the field of medicine in anesthesia and the field of dental medicine in periodontal micro and nano-technologies. The Academy of Osseointegration for dental implants. Dr. Jaquez (wife dentist of Dr. Max Arocha) earned her first Doctorate degree in 2000 in Dental Medicine in Dominican Republic where she has practice prosthodontics dentistry and has received great satisfaction in helping patients achieve good oral health for seven years. Dr. Jaquez then moved to Plantation Florida and graduated from Nova University College of Dental Medicine with a D.M.D. degree and board certification. Dr. Jaquez proceeded to earn her certification for Botox. Her dedication to patients and pursuit of excellence has characterized her professional career. Dr. Eitan practice general anesthesiology in the city of Plantation. Dr. Eitan Gross completed his residency in general anesthesiology at Lutheran Medical Center in Brooklyn, NY. Lutheran is one of nine certified dental anesthesiology programs in the country. Dr. 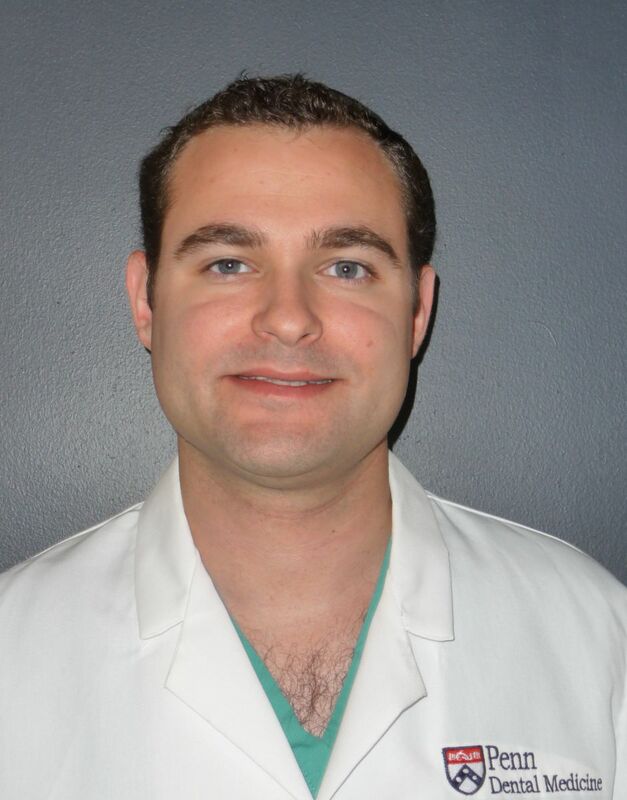 Gross is one of a handful of dental anesthesiologists in the state of Florida. Dr. Gross has a strong background in hospital based general anesthesiology as well as specific training for special needs and fearful adults in the dental clinic environment. Dr. Gross acquired certificate in general anesthesiology, advanced cardiac life support (ACLS), and basic life support (BLS). Dr. Gross has also conducted research on the effects of common anesthetic medications on children. Prior to completing his advanced residency in anesthesiology, Dr. Gross received his DMD degree from University of Pennsylvania where he received honors while working at their medically compromised clinic. In his free time, Dr. Gross enjoys traveling, scuba diving and being with family. The city of Plantation’s natural environment is unsurpassed by other South Florida cities. It is geographically centered in Broward County. This city has expanded into a growing, vibrant municipality, with a residential population exceeding 90,000. It's lined with upscale outdoor restaurants, malls, stores, boutiques, luxury hotels and full-service hopitals. Plantation General Hospital is a full-service facility that has been providing a range of healthcare services to residents of Plantation and Central Broward County for about 50 years. Their nationally recognized centers of excellence in intensve care have earned them a distinguished reputation for quality. From birth throughout your entire life, Plantation General Hospital is there for you and your healthcare needs.